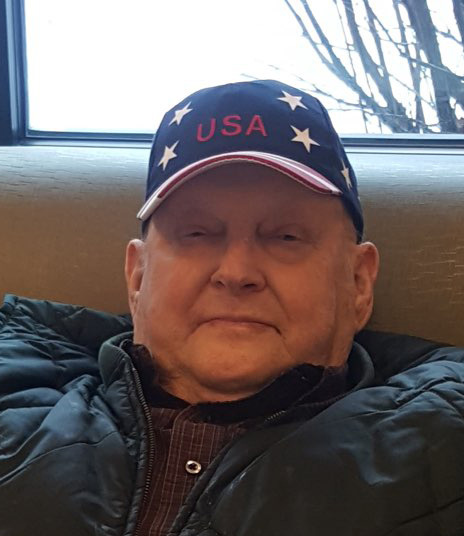 William Leroy Brown, 82, of Zanesville, died at 6:59 P.M. on Saturday, February 2, 2019, at Genesis Hospice-Morrison House, Zanesville. He was born September 16, 1936, a son of the late Theron and Margaret Baird Brown. He was a self-employed farmer and truck driver, was a member of the Finley United Methodist Church where he served as a trustee for three years and taught Sunday School William served in the Air Force Reserves and National Guard. He enjoyed 4-H horse shows with all his children and was a 4-H advisor for ten years. William is survived by his loving wife of sixty one years, Catherine J. Sines Brown, whom he married on September 1, 1957; a son, Allen Brown of Heath; two daughters, Peggy (Tim) Jordan of Zanesville and Melissa Miller of Zanesville; four grandchildren, Kayla, Kori, Kerstin and Trent; three great grandchildren, Kami, Kinley and Kasia and a brother, John (Helen) Raymond “Ray’ Brown of Columbus. Friends and family may call from 2:00 to 4:00 P.M. and 6:00 to 8:00 P.M. on Tuesday, February 5, 2019 at the BOLIN-DIERKES FUNERAL HOME AND CREMATORY, 1271 BLUE AVENUE, ZANESVILLE where funeral services will be held at 11:00 A.M. on Wednesday, February 6, 2019, with Pastor Ron Griffin officiating. A Cremation-With-Care will take place following the service.